Like many ambitious sportsmen, Pierre Massard has a dream that one day he will compete in the Olympic games. While talent and good fortune may be the barrier for most golfers to achieve this goal, Pierre is slightly different. He is 62-years-old and has been paraplegic since he fell down a mountain 7 years ago. His disability was result of a tragic accident that occurred when skiing on Ascension Day, May 20th 2004. While following an experienced mountain guide on a run, Pierre attempted to cross what looked like a “snow bridge”, only as Pierre started skiing across it, the bridge gave way and Pierre fell 100 feet (30 meters) down a mountain crevasse. Until that point Pierre had lived a bright, happy and fulfilling life. He was a 3rd Dan Judo Black Belt, was Swiss Champion on several occasions and had represented Switzerland many times in Europe, including being selected onto the Swiss Olympic Judo Team. Professionally, he had overseen the growth of his construction business over a 25 year period into a company that grew to over 50 people. He was a respected pillar of the community, happily married for 24 years and proud father of a son. In the fraction of a second it took that snow bridge to collapse, Pierre’s life would change. He describes it best in his own words. In the dark days and weeks that followed the accident, Pierre freely admits he struggled to see a future for himself. He told his son that while he had enjoyed a great life he felt that without his mobility and the freedom that it gave him, he felt he was simply “surviving” rather than “living”. Initially, Pierre spent the first year after the accident in bed with no sensation below the waist. He remembers he had “little to do but count the flowers on the wall and stare at the ceiling”. After another four years spent in a wheelchair, Pierre decided it was time to fight back harder. He began to think about trying to walk with canes and on December 14 2009, he managed to walk with canes 60 metres. It took him 45 minutes, but he had finally broken that mental barrier. Pierre’s remarkable willpower saw him continue to progress and with the aid of his physiotherapist, he increased the distance he was able to walk and the speed in which he was able to “walk”. Barely a month after first taking to canes, he was walking four times the distance he had. Two months later, he was steady enough on one cane to even hit a few golf balls with his right hand while supporting his body with his left. It would prove to be a momentous moment in Pierre’s life. The realisation that those things he thought he had lost forever, were still within reach spurred him on to even greater things. By April 2010, he was walking 500 metres with Nordic walking sticks. Pierre’s newfound mobility saw him once again honoured in the local and national press, his story touched the hearts of organisers of a conference on “Happiness” where he gave a presentation to over 350 people. Professionally too he began to use his experiences to benefit others, using his skills as a builder to help other builders and architects develop structures that aided mobility for those in wheelchairs or who need canes to walk. 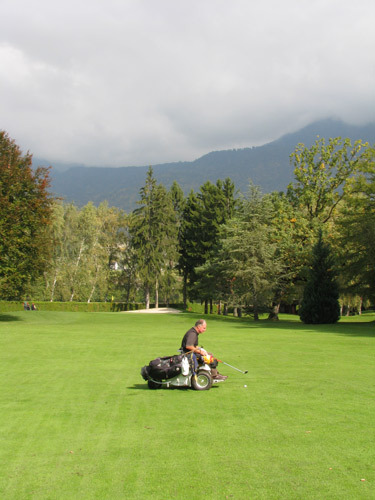 In the sporting arena too, Pierre began to utilise his own experiences to help coach sports men and women who were undergoing rehabilitation after serious accidents and throughout this period, Pierre’s renewed love affair with the game of golf was continued. Pierre’s remarkable story saw him receive a special gift, from the Association Leve-Toi et Swing of an Otto Bock Paragolfer chair. 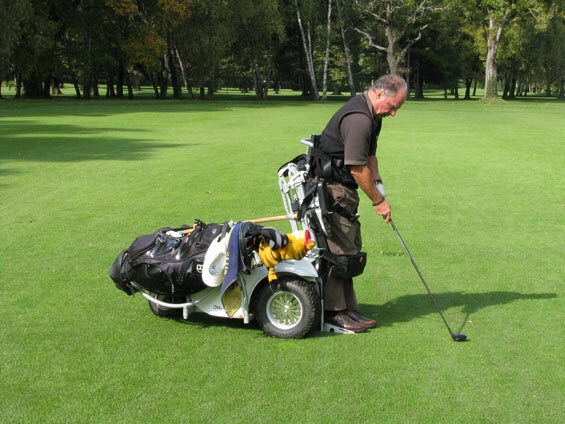 This is a wheelchair that enables a paraplegic golfer to move around the course easily and also allows them, by using a small joystick, to put themselves into a standing position to allow them to make a full, vertical swing. “Thanks to this revolutionary device, I rediscovered my social life, my sports life,” says Pierre. Indeed, it is a remarkable transformation; from a man who thought he had lost it all into a man who rediscovered his lust for life and has given inspiration and impetus to many others. Yet incredibly, the Pierre Massard story does not end there. Pierre’s new Otto Bock Paragolfer not only saw him start playing golf regularly again. He began to attack the game with renewed vigour. Upon returning to his golf club, he was initially given a handicap of 18.8. Unpeturbed, Pierre began playing regularly, working hard at his game to improve it. 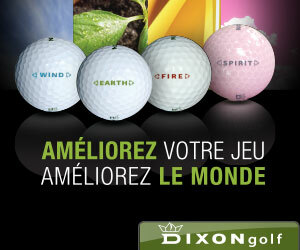 Then on May 7 2011, 7 years and a day after the accident, Pierre entered a golf competition at Montreux Golf Course. 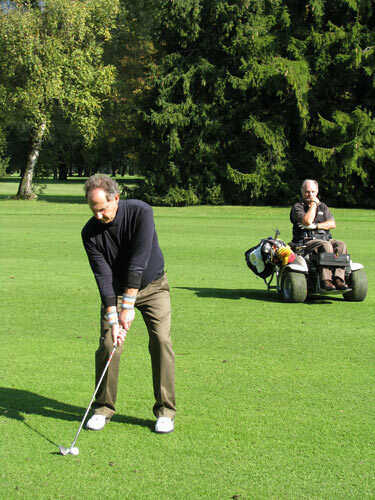 Out of 88 players, Pierre was the only disabled golfer. With his playing partner, World Champion downhill skier Didier Cuche, he was expected to put on a brave performance in the face of so many excellent able-bodied golfers. They did; but Pierre and Didier did better; they won the tournament. “From that day, my mind rejoiced with dreams of a larger project to become – the Swiss Paragolf Olympic selection,” wrote Pierre. 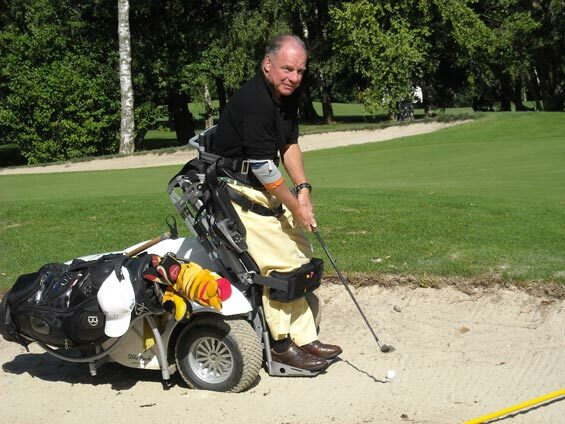 At the moment, golf has not yet been accepted as a sport in the Paralympics, but if it is included in 2016 (which seems unlikely) or 2020 (which is possible), given his incredible story and never-say-die spirit, few would bet against Pierre Massard making an big impact at the games. 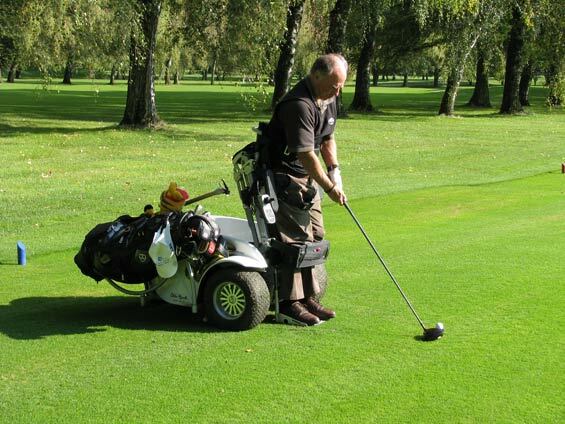 Do you have an inspirational story about a disabled golfer you want to share? Be part of a book! We’re also in the process of writing a book and would love to hear more about disabled golfers, disabled golf societies, people with disabilities that have used golf as a form of treatment, medical professionals that use golf as a form of treatment, etc. Inspirational ! indeed ! as they said when you are taking shot don’t think about the negative outcome! and for the people with disability it’s more then just a mere concentration task! But one thing! Should n’t we use the word ‘Differently able’ instead of Disable’ for the people with disability because they are showing that the are “ABLE’ Definitely in a different way! !